Indulgent Vegan Mexican Hot Chocolate; sweet and spicy hot chocolate topped with vegan whipped topping! 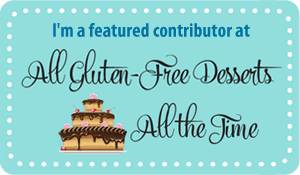 I am a huge fan of sweet and spicy treats, if you hadn’t guessed from the gluten free dairy free Mexican hot chocolate donuts and gluten free red chile pecan pie. There is something that is so enticing about a hint of heat cutting through the cloying sweetness in a dessert. Or in this case, vegan hot chocolate. The contrast of the sweet vs. heat is enchanting! Especially when combined with chocolate. The flavor of the chocolate deepens with the addition of spicy ground chipotle powder. Mexican hot chocolate doesn’t taste spicy. Instead you get a little bit of a delightful slow burn at the back of your tongue after your first sip. I like to make my vegan Mexican hot chocolate extra spicy, which is where the Vegan Whipped Topping Mix from Vivian’s Live Again becomes essential. It helps to lighten up the hot chocolate and keep it from being too spicy, just like a dollop of sour cream on your green chile white bean chili. 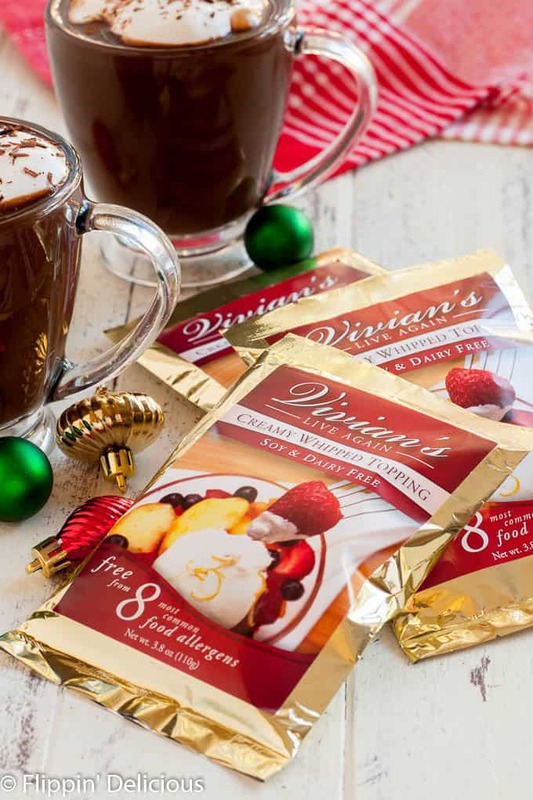 I am a big fan of Vivian’s Live Again products, including the vegan whipped topping mix, because they are shelf-stable and are all free of the top 8 allergens, including wheat/gluten, milk and soy! I think I am going to tuck a few packets of the vegan whipped topping mix into my hubby’s stocking on Christmas Eve. He loved this dairy free Mexican hot chocolate, so it will be the perfect thing to sip while we open presents on Christmas morning. 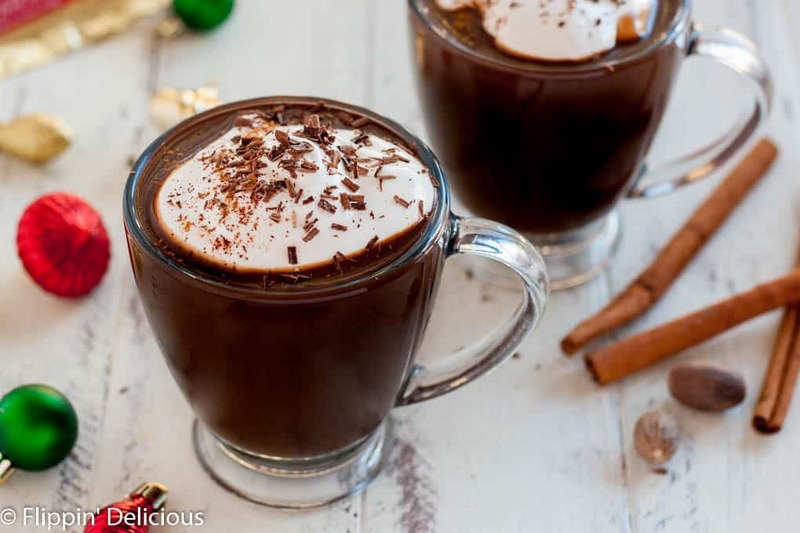 I like my hot chocolate to be thick and creamy, which can be tricky to do vegan. My all time favorite way to make hot chocolate is used to be to melt chocolate in milk. There are many vegan chocolates available, but they aren’t always easy to find and you may want to save them for your favorite gluten free chocolate chip cookies. 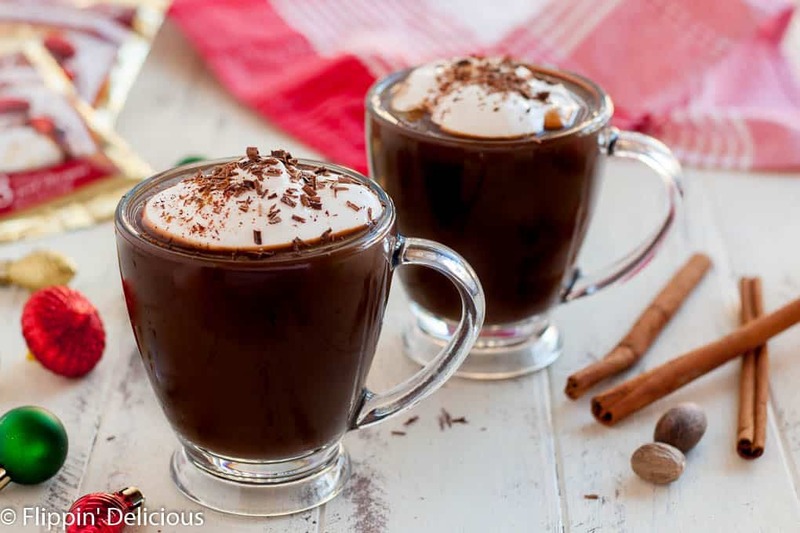 I wanted to create the same unctuous creamy hot chocolate, but without using melted chocolate. My solution is to use a rich dutch-processed cocoa powder and just a touch of cornstarch to slightly thicken my vegan Mexican hot chocolate. Just a touch, mind you. You don’t want to end up with dairy free Mexican hot chocolate pudding (at least not today!) You won’t know that the cornstarch is there. 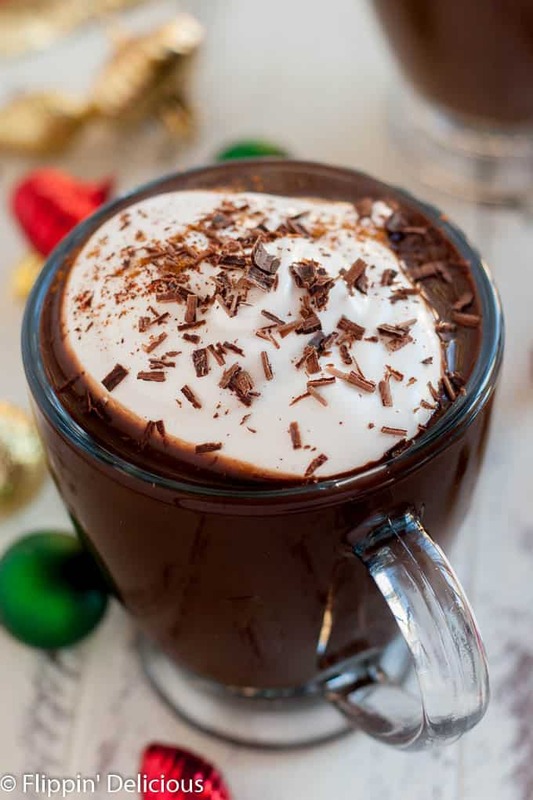 It is makes the hot chocolate richer and creamier so that you would never guess that it is vegan, dairy free, and made with cocoa! I have a new favorite dairy free hot chocolate now! I hope that you love it just as much as we did. Indulgent Vegan Mexican Hot Chocolate, sweet and spicy hot chocolate topped with vegan whipped topping! Prepare Vivian's Live Again Vegan Whipped Topping Mix according to the package directions. 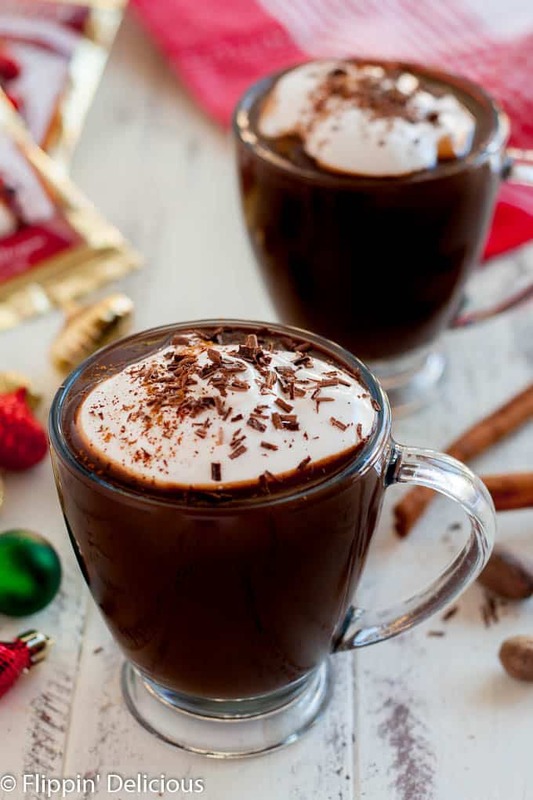 In a saucepan whisk together all of the hot chocolate ingredients. Heat over medium-low heat until it begins to simmer. Allow to simmer for 2-3 minutes for the cornstarch to lose its starchy taste and texture. To make traditional hot chocolate instead of Mexican hot chocolate just omit the cinnamon, nutmeg, and chipotle. Very exciting recipe! Glad to see you add honey and cinnamon to it. Never been a fan of sweet and spicy, but this recipe looks very worthy for a try. Thanks Brianna! Thanks for a dairy free option for hot chocolate! So many people cannot tolerate much dairy. Can’t wait to try it. That’s very smart of you to use cornstarch Brianna. I like it. I like chocolate too but I fail at melting chocolate sometimes. So this is definitely a safer way. Thanks! It’s a good recipe. I’m new to GF baking. I’ve mixed up your flour mixes for cookies and cake and plan to make the sugar cookies today. Yea!! 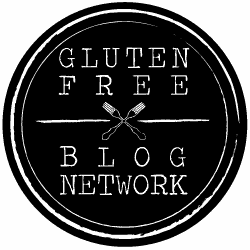 Question tho…can I substitute your flour mix in non GF recipes? You can, but it takes a lot of experimenting to get a recipe right. There are a lot of other adjustments that you have to make for a recipe to turn out. To start out, I use 1/2 to 1 teaspoon of xanthan gum for every cup of flour, but there are often more tweaks that need to be make. My flour does not work cup-for-cup in regular recipes without other adjustments. My favorite cup=for-cup flour is GF Jules. Thanks! I made a double batch of the yummy sugar cookies this Christmas and they were such a hit! Kept back some in the freezer and now think I’ll try crushing them to use as a “shourtcrust” type base for something else.